New! Get The Help Me With HIPAA App Today! 2016 Blooper Show - Happy Holidays! Why HIPAA Is Important To You? Ep 37: PHI Breaches - 2015 Ends With A Bang! Episode 23: If it moves - encrypt it. Episode A1: HIPAA Answers - How do I get rid of my printers properly? Access our Help Me With HIPAA Podcast archives and subscribe to get notified of new episodes automatically. Relax HIPAA Help is on the way! Share with friends and colleagues on Social Media using the Left Side buttons on content pages. Everyone needs some HIPAA Help! Spread the love. Information on Privacy and Security we use and mention on our shows. 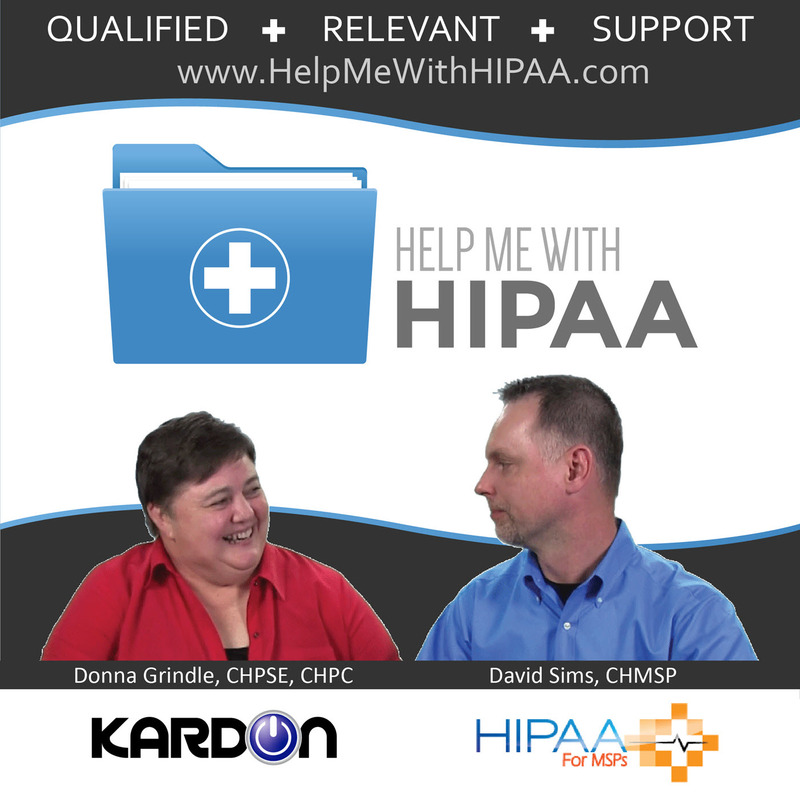 Learn more about your hosts, David Sims and Donna Grindle, and why HelpMeWithHIPAA was started. HIPAA help is what we do on a much bigger scale. Got an idea for a show? Need some HIPAA help? Available for an interview segment? Want to advertise or sponsor? By all means, Contact Us! I am a mid-level IT professional and I have been listening to you on the HIPAA podcast for quite some time. Though I do not know you, I wanted to say that I am a big fan and would love to connect on linkedin. Keep those podcasts coming, they are exceptionally interesting to me. Help Me With HIPAA is EXCELLENT!